DETAIL: Table contains duplicated values." This error is thrown out by Postgres when it encounters duplicate rows in a primary key table by failing any of these command REINDEX or CREATE UNIQUE INDEX. Why duplicate rows exists in a table ? Two thing to my mind. 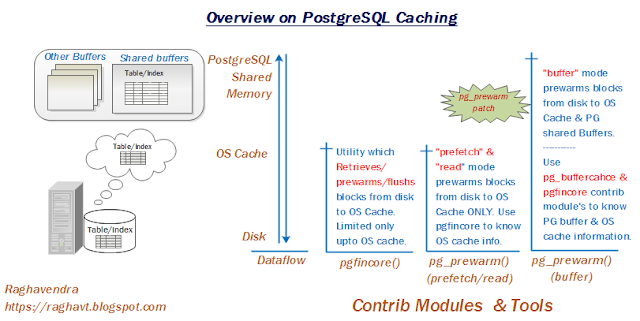 Firstly, it might be delayed index creation or if you have shared sequences in a database, sharing on two different Primary key Tables might be the cause while restoring the data into table (pg_restore). Secondly, if any huge transaction is taking place on that table and at the backend someone has abruptly stopped the instance, which might also fail the index(primary key) to point to the right row. Well,as common practice, when we encounter a duplicate rows in a table (despite of any reason), we first filter the duplicate rows and delete them, and later by doing REINDEX should fix the issue. Even after deleting the duplicate rows REINDEX or CREATE UNIQUE INDEX fails, it means your index is not cleaned properly. Above query might not be giving 100% result oriented output what you are expecting, because the query is going to pick the index which is already corrupted with duplicate rows. See the explain plan below. We need to catch CTID of duplicate rows from the main table and delete with conditional statement as CTID + PRIMARY KEY VALUE. ERROR:  could not create unique index "idup"
DETAIL:  Key (id)=(10) is duplicated. Step 1. Create a new table from effected table by pulling only two column values CTID and PRIMARY KEY. Step 2. Now, lets run the duplicate finder query with CTID to get the exact duplicates. Step 3. On above result, now you can delete one row from main table(effected table) with CTID. Step 4. Now, your REINDEX or CREATE UNIQUE INDEX will be successful. Step 5. Don't forget to do immediate VACUUM ANALYZE on the table to update the system catalogs as well CTID movement.